Camp Solomon Schechter has a 60-year tradition of fun, friendship and Jewish education in the Pacific Northwest. As an independent camp, they create a unique, welcoming and spiritual Jewish community in the spirit of the Conservative movement, offering an innovative experience for youth of all denominations entering 2nd-12th grades. With its Gendler Grapevine grant, the Teva Learning Center (TLC) at Camp Solomon Schechter will expand its current activities by providing a solid, sustainable, organic agricultural curriculum beyond the current teva (nature) and tikkun olam (repairing the world). 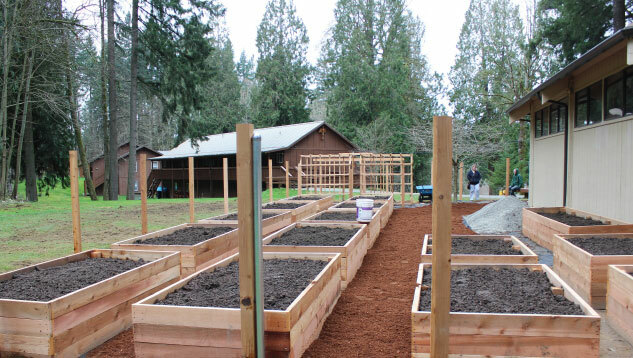 The initial set-up of the TLC involves building an organic, sustainable garden. The 2,000 square foot garden area contains at least 24 growing beds, an area for fruit trees and berry bushes, a small green house, a tool shed and a compost bin. It will also include the traditional Seven Species of Israel mentioned in the Torah.